There are a number of good tennis shoe options for men on the market. If you want the best tennis shoes, however, there are several factors to remember. The first questions to ask yourself when buying new tennis shoes is what surface you plan on playing on. 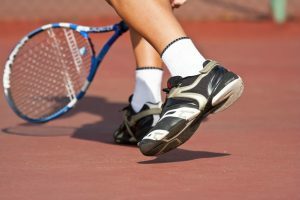 While there are shoes that are useable on all court types, shoes designed for specific surfaces often perform better. The second question is what type of foot you have. 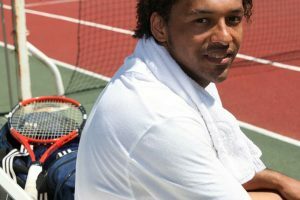 Although everyone needs support from their tennis shoes, different players require different things. 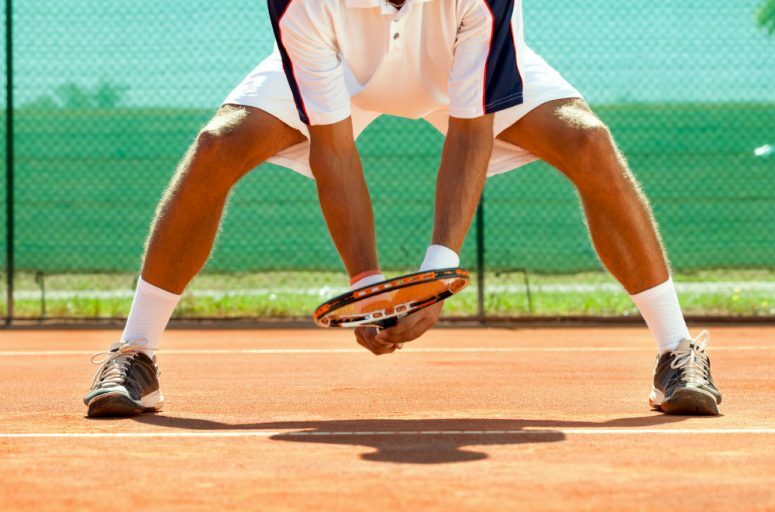 If you have a higher arch, wide, or narrow feet, the best tennis shoes will address those areas. 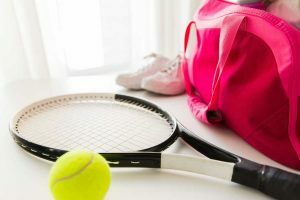 Keeping these two questions in mind will help you find the best tennis shoes for your needs. 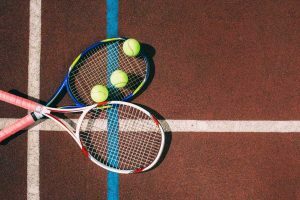 While there can be some variation based on taste, below are three of the best tennis shoes for men on the market. ASICS makes a wide variety of tennis shoes at various price point. The men’s Gel-Gamepoint tennis shoes are a mid to lower range shoe, but they are one of the best options for hard court players. Because of their cushioning system and leather material, the Gel-Gamepoint tennis shoes are a great option for hard courts. 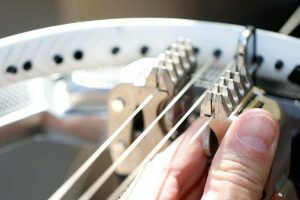 They provide good support and protection from the hard surface, while still being extremely durable. 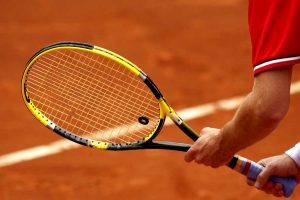 While these shoes do not have quite as many features as more expensive ASICS shoes, they provide all the necessary attributes of a hard court tennis shoe. This makes them one of the best tennis shoe options for men. Unlike the Gel-Gamepoint tennis shoes, the Nike men’s Air Tech Challenge II tennis shoes are an excellent choice for a clay court. They are on the higher end side of the price rage and therefore provide more features than other options. Since clay shifts as you move, an important consideration is lateral support. The Air Tech Challenge II tennis shoes are padded and supportive enough throughout the foot bed for good support. Really the only drawback to these shoes is that they do run big. While it seems that most tennis shoes run small, these can be a bit roomier. While these shoes are more on the mid to higher end of the price range, they are well worth the price for clay court tennis shoes. 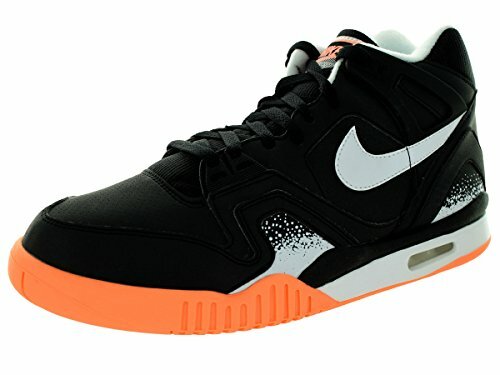 Their excellent features make the Nike men’s Air Tech Challenge II tennis shoes one of the best options for men’s tennis shoes. If you are looking for an all-around tennis shoe that can be used on any court surface, consider the Babolat Sfx Wimbledon men’s tennis shoes. They incorporate valuable features for all court surface types. As these shoes are made from a synthetic material alone, they are extremely light weight. They do not sacrifice durability, however, and hold up to regular games. Like the Air Tech Challenge II tennis shoes, the Babolat Sfx Wimbledon tennis shoes do run a bit large in length. When you size up, they should fit comfortably. One of the made draws of these shoes is their excellent cushioning and support. 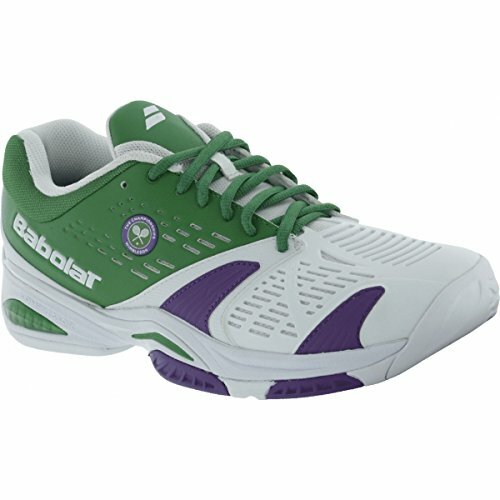 For an all-court shoe, the Babolat Sfx Wimbledon men’s tennis shoes are one of the best options for tennis shoes. 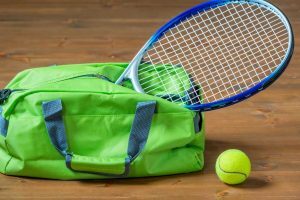 While there are a number of excellent shoe choices on the market, our best bet for men’s tennis shoes is to consider your own needs. Things like court surface and foot type can make a huge difference. 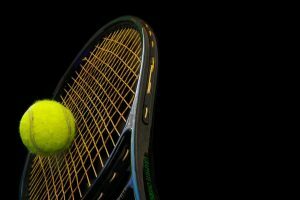 Most of the major brands offer a good selection of tennis shoes, but the ASICS Gel-Gamepoint, Nike Air Tech Challenge II, and the Babolat Sfx Wimbledon are some of the best tennis shoes for men on the market.